The magnificent Proleek Portal Tomb, situated in the grounds of Ballymascanlon Hotel on the legendary Cooley Peninsula, is one of the finest examples of its kind in Ireland. Proleek Portal Tomb is about 3m high and has a huge capstone weighing approximately 35 tons. Legend says that a wish will be granted to anyone who can throw a pebble on its capstone so that it stays there. The two front portal stones are 2m high. 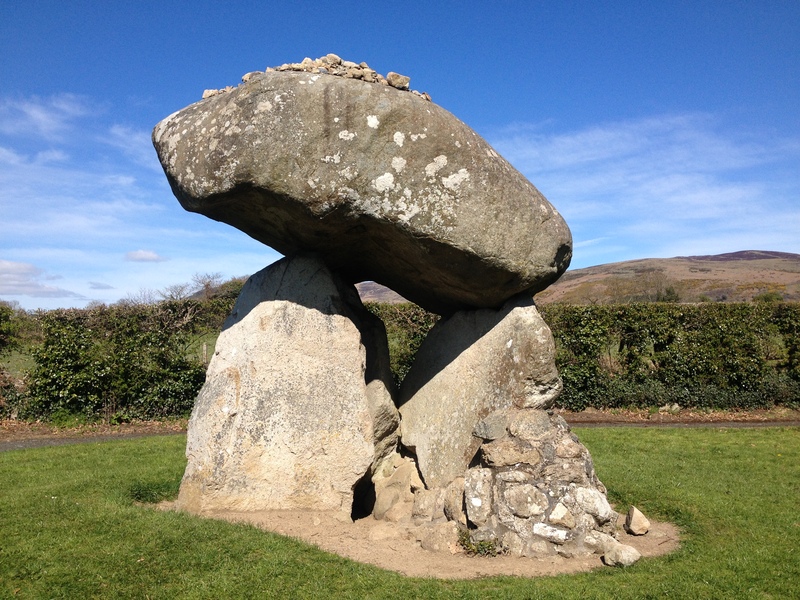 Known as the ‘Giant’s Load’, it is believed that it was carried to Ireland by a Scottish giant named Parrah Boug McShagean (who is said to be buried nearby). There is also a Bronze Age wedge tomb nearby.